I also got the Lamborghini Diablo GTR from it. Whatever you want to call it when you level up. Level rewards. Just used to calling it wheelspins. Had to churn through well over a hundred stockpiled rewards, but the last 7 of them were all the cars in LSD51ZEN's diagram, thanks for the heads up! I don't think so. I'm going through the same; three straight level up rewards = three straight new FE cars. Thanks! They all came up for me in seven straight Milestone rewards. 6 FEs and the Diablo. Yep this seemed strange to me too, i also got all of them right after eachother after leveling up. Just do a 4 hr league session. Easy. Ghost if you don't want to be wrecked. Good ghost league this week. Sport GT Icons. LOL, "4 hours", that's my problem! I'm lucky to get an hour on a weekday. And it seems like an inordinate amount of that time is spent watching the "cram down your throat" Microsoft swoosh sequence, which of course you have to watch so you can "press A" again to be graced with the T10 startup sequence. Thankfully, most of the time it remembers where I was and don't have to do anything but dismiss the nag screen to renew my "Gold" membership, then press A again for sign in, then A again for some unknown reason (this is EVERY time I play). Then it gets hung a while trying to load a livery when I chose the wrong car in my garage. As an aside, I've deleted most liveries to avoid that, but if I decide to pick a car I haven't "cleaned", or go find something interesting on the shared paints, add another 3+ minutes as it hangs the download that can't be canceled. Maybe check auction to see if one of the remaining cars I'm looking for is worth looking at, about 50% chance it isn't working. No "watch" or "max bid" other niceties one would expect, so that's usually a waste anyway, particularly since I don't have time to sit and watch (in person) for whatever time remains. Check messages, which may or may not work. Hub or Forzathon depending on the day. By the time I get past all that noise, maybe 30 minutes to race a few nights a week. If I chose Free Play, then add more time because the implementation is too brain dead to remember what I had configured or selected, and randomizes every time I start a race in there (even when I JUST finished a race in the blasted thing!). So I find the track (sometimes the same later, or on a different startup, "restart" is the only saving grace), make my settings I want, and then wait for downloads. Liveries turned OFF because, well, T10 network lag nonsense. Is it any surprise I'm growing bitter with this product? I was reasonably happy with it in career mode, once you get past the first turn fiasco, and struggled to get through challenges that have no place in a "motorsports" game "career". But it seems nothing works right (or much fun) since I finished the Elite series. I've been playing with some tuning stuff, but mostly I find it's just aggravation. Rivals and hot-lapping are the sole fun in FM7 lately, but that grows stale quickly. I've considered leagues and such. but just don't have the time to invest. If I did, that might be my answer to continuing to enjoy FM7. My general experience with online play is beyond terrible. It only seems to make sense if you enjoy pitting your skills against the morons, it's not at all about racing. I hear you about using ghosts, but that's not the point for me. 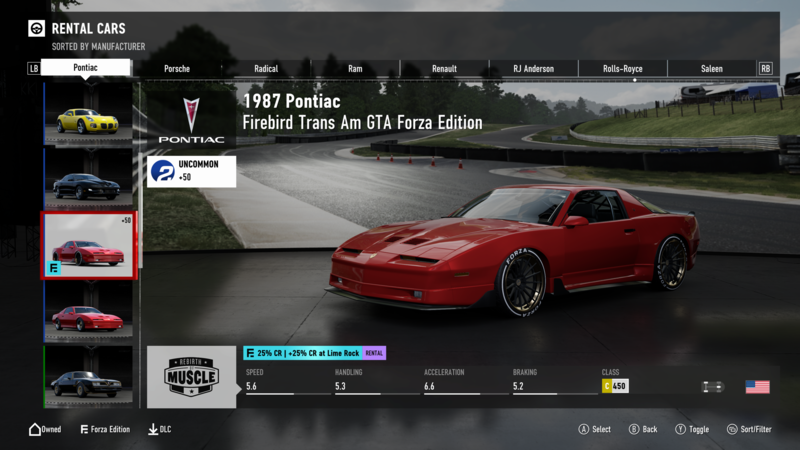 And as I said about the nag screen, I let my Gold expire simply because the online experience in FM7 was a complete disaster, so why throw good money after bad? That Diablo GTR is pretty solid in S Class. Can you please tell me how I’m able to scroll through my ‘saved’ leveled up rewards. ? It’s getting to a point I don’t know what I’ve got tucked away. 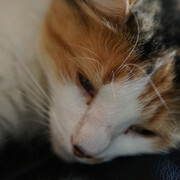 Plus I’ve noticed, as one started to get closer to the upper levels of car ownership, that rewards offers rotate around. I’ve been offered one or two cars on more than one occasion. So, can you tell me how to scroll through those rewards please mate ? LOL, "4 hours", that's my problem! I'm lucky to get an hour on a weekday. And it seems like an inordinate amount of that time is spent watching the "cram down your throat" Microsoft swoosh sequence, which of course you have to watch so you can "press A" again to be graced with the T10 startup sequence. Thankfully, most of the time it remembers where I was and don't have to do anything but dismiss the nag screen to renew my "Gold" membership, then press A again for sign in, then A again for some unknown reason (this is EVERY time I play). Then it gets hung a while trying to load a livery when I chose the wrong car in my garage. As an aside, I've deleted most liveries to avoid that, but if I decide to pick a car I haven't "cleaned", or go find something interesting on the shared paints, add another 3+ minutes as it hangs the download that can't be canceled. Maybe check auction to see if one of the remaining cars I'm looking for is worth looking at, about 50% chance it isn't working. No "watch" or "max bid" other niceties one would expect, so that's usually a waste anyway, particularly since I don't have time to sit and watch (in person) for whatever time remains. Check messages, which may or may not work. Hub or Forzathon depending on the day. By the time I get past all that noise, maybe 30 minutes to race a few nights a week. If I chose Free Play, then add more time because the implementation is too brain dead to remember what I had configured or selected, and randomizes every time I start a race in there (even when I JUST finished a race in the blasted thing!). So I find the track (sometimes the same later, or on a different startup, "restart" is the only saving grace), make my settings I want, and then wait for downloads. Liveries turned OFF because, well, T10 network lag nonsense. Is it any surprise I'm growing bitter with this product? I was reasonably happy with it in career mode, once you get past the first turn fiasco, and struggled to get through challenges that have no place in a "motorsports" game "career". But it seems nothing works right (or much fun) since I finished the Elite series. I've been playing with some tuning stuff, but mostly I find it's just aggravation. Rivals and hot-lapping are the sole fun in FM7 lately, but that grows stale quickly. Ever thought if setting up “auto login”? I simply turn my Xbox on, after closing down fully, not just doing a basic closure. But a hard [Mod Edit - Abbreviated profanity, profanity and profanity that is disguised but still alludes to the words are not permitted - D] done. Anyhow. Soon as I turn it on, my Xbox opens on the game, logged in and ready to go. Simply hit A SMS I’m ready to go. Oh, btw, just a ‘polite’ hint. Try spacing your text with breaks (like above) so that ppl can read them more easily. Have recieved the BMW 850, then 3 Formula E in a row (sigh). I am hoping the Diablo comes my way sometime, it has always been a forza favourite of mine. To you guys saying you got the Diablo, don't they usually gift a prize for setting a time when the event is OVER? I know I set a time in the event but I have not received the Diablo as of yet. I set the time on the day the event was posted. Never mind, it just came up as the next Level Reward car. Yep, once the actual contest is over, they usually do a blanket handout of cars. If you’re luck enough to get one via the Leveling Up, more power to ppl. It’ll mean you’ll get another at the end of the month or whenever the rivals comp closes for that contest. And wasn’t it a slightly different Diablo GTR ? As the Rival has been removed now that I’ve completed it, I can’t read what the car actually was ? ? Yep, it is and has been set for auto login on my account. The xbox knows who I am the moment I turn it on, it even says something like "Hi <name>". And FM7 knows my gamer tag right away too. But in my case, it is just selected by default, but it makes me pick it twice by pressing "A". Perhaps the difference is that my system also has my wife's login on it? 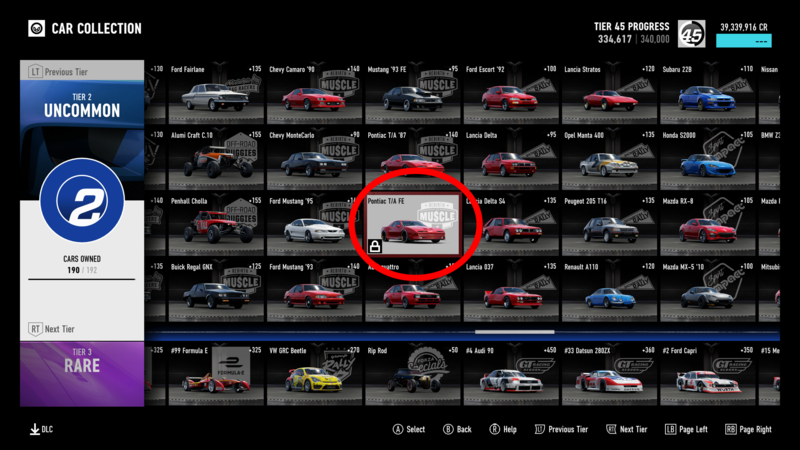 Either way, the repeated acknowledgements of who I am playing as along with pressing "A" to launch Forza (after a restart, to pick game from list), which is apparently just to see the T10/MS "swoosh" animation series, and then again to actually tell it "yes, I meant to start the blasted thing the first time!" (cheap ploy to MAKE us watch that swoosh EVERY time). And I get the 2 "who are you" clicks, plus the Gold nag screen EVERY time I start it, even when it is left suspended. But your point is taken. I can't see myself breaking up every 1 or 2 sentences with arbitrary line breaks between, but I will try to keep them shorter. Yep, me too. Re the text SMS speak etc, and the inability to read past 3 lines of text . . .
I’m not sure how yours is set up mate, but mine is simply, turn on Xbox. Get the Xbox Home screen allowing me to pick whatever game or BluRay etc etc. Choose a Forza (whichever), game launches, yes, I get the whoosh. After all, they do need to ‘drive’ home their advertising and logo, like all commercial companies do of course. I’m then landed on the menus to allow me to either continue on with whichever part of the game I’m playing, or check my messages, or get my credits or Gifts. So I’m not sure where you need to constantly press A . . . It seems a seamless system to me, allowing me choice as to what I want to do. If however, I’ve simply logged out of the game Vic the Soft Close, - pressing the X on the Xbox Facia ONCE softly, the game stops exactly where I’ve left it, say in a menu, or in part of a game section etc. When I turn it back on via my controller, the Xbox launches, the game opens, and I’m straight back at where I left it . . . . Although, there are times that can cause freezing issues. So I mostly do a hard shut down. Ie, pressing and holding the X on the facia until the light stops. Try that and see how that goes . . . . ? 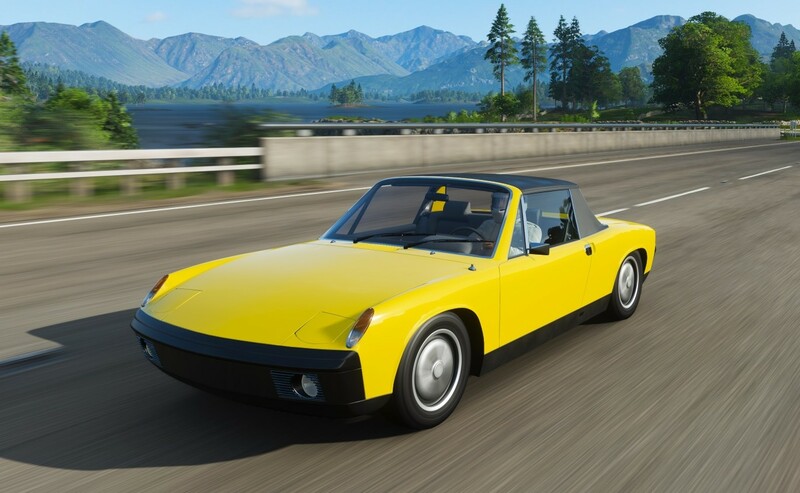 New Forza Edition car after november update. I need that! And it has a credit boost at Lime Rock! Any idea if it's a level up rewards like the last bunch? Any idea if it's a level up rewards like the last bunch? Maybe, but my driver level is 730 and I have not yet received this Pontiac FE as Driver level Milestone reward.